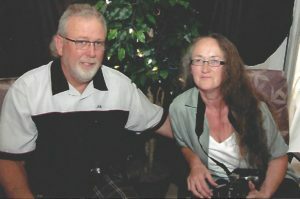 Debi and Paul started the Jr. Dragster program for youth age 8-15 in 1999 with drug education and safety, at the local Jr. High School in Charlottetown. The sessions moved to Raceway Park, where students put theory to practice in Jr. Cars. Each student received a trophy, hat and shirt. The emphasis was on the group learning and having fun. In 1999 the Jr. Drag racing program started with one Jr. Racecar, by 2006 there were 18 Jr. Racecars in attendance. In October 2012 Paul took a massive heart attack leaving many saddened. Debi, though heartbroken, continued donating her time with the young people. At the track she has helped raise money for Jr. Program and over the past five years helped the track and racers raise close to $50,000 for cancer research in their Pink with a Twist Program. Her personality and first to help attitude never ceases to amaze.